Richard Pearce has more than 35 years of Fire and EMS experience that includes rural, suburban and metropolitan delivery systems in both the public and private sectors. 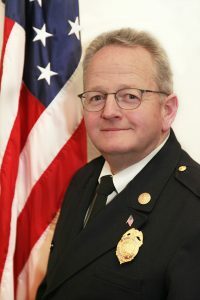 Richard has served as the Fire Chief of the Tiburon Fire Protection District since 2002. He is committed to responsible local governance and fiscal responsibility. As president of the Fire District’s Association of California (FDAC), he strives to collaborate with federal, state and local officials on the difficult issues facing fire districts across the state. These include the betterment of firefighter safety, enhanced service delivery, legislation and the long-term success of the Fire Service. Richard has an A/S in Fire Science, a Bachelors in Vocation Education, and a Masters Degree in Business Administration.